For shooting stationary subjects, lenses with a 1.8 max aperture have always been my preferred option over 1.2/1.4 alternatives. If you’re using a tripod, or shooting during the day, you can save a ton of money by loosing 2/3rds of a stop (that you’re not even using). The cost differential is often enough to buy a second lens. This Nikkor 85/1.8 is a fantastic example of a lens that provides sufficient reach and speed, while maintaining a light and compact form factor. It also can be used on manual, auto-focus, and digital SLR’s seamlessly. This is a great all purpose lens. It is now discontinued, but used copies can be found everywhere for bargain prices. 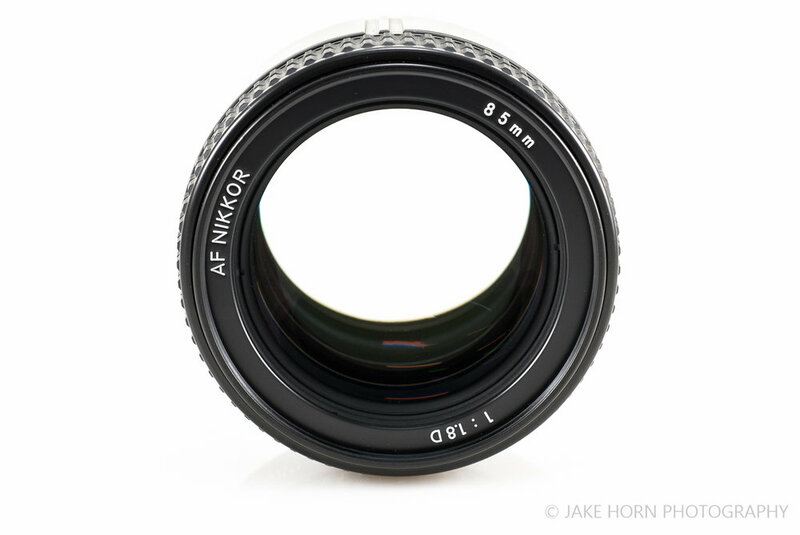 Not factoring in the screw-in lens hood, this is a very compact and light weight 85mm. I prefer it to Nikon 50mm’s in almost all shooting situations. Focusing all happens internally, meaning the front element doesn’t breath in and out. This is a big plus for outdoor work as air won’t be pumped through the chassis, reducing dust penetration. Even though this lens does not have automatic manual focus override, it does lack a separate M/A switch on the barrel. You simply make the change on your SLR’s body. Some lenses during this time had lens switches, requiring you to flip two switches to enable manual modes. You can say what you want about the cheap plastic lens hoods of today, but the reversible bayonet style saves big on bag space. Unfortinately, this lens does not have a brilliant retractable hood like the 135mm/2.8 or 200mm/4.0. This means you’ll either be leaving it at home, or screwing it off and on frequently. Even though this lens opens up to 1.8, I would not advise using it often, as it is quite soft wide open (at least on the sample I own). Things sharpen up at 2.8 and are perfect between f/4 and f/8. Think of this one like a vehicle’s top speed, you can hit it when you need to, but don’t planing on keeping it there all the time. If you need that kind of bokeh or low light performance, just go with a modern 85mm 1.4G. I know this may sound like nitpicking, but I want to mention that D-series lenses started to cheap out on the distance scale. The sight window is an ok effort, but only including two apertures on the hyperfocal scale seems cheap and/or lazy. I’m guessing the former. The Nikon branded hood is decently priced and can be found with used copies now-a-days. It’s a metal type that I’ve found will accommodate the 62mm snap on cap just in front of the threads. This fit is tight however, and I’ve broken the spring feature in two caps now.. I rarely shoot a 85mm by itself, choosing to pair with a 24mm wide, and sometimes a longer telephoto. As these D and G series lenses look similar in your bag, I use the LenBuddy rear caps that have bright lettering which indicate the focal length. Place them front side down in your bag and you’ll be able to find everything quick and easy. 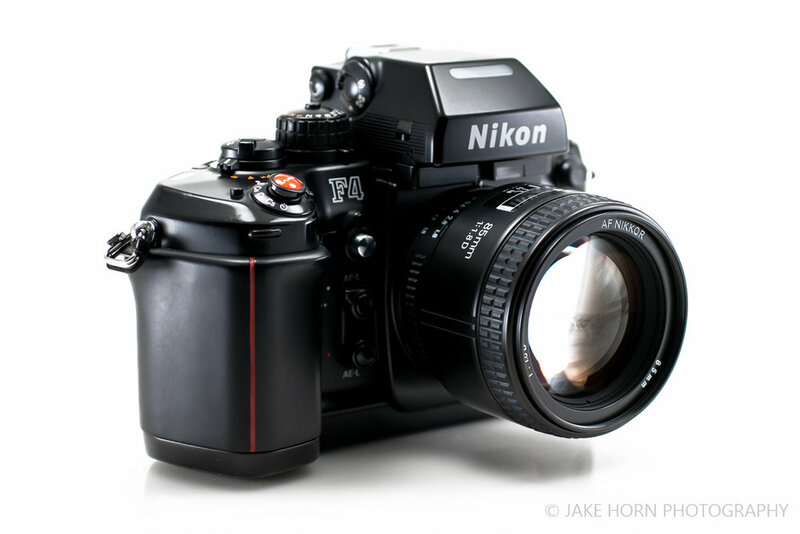 This is, by far, my favorite medium length telephoto for 35mm format. I find it extremely useful for landscape photography in the mountains. It is long enough to isolate stunning peaks while providing enough room to capture the surroundings for context. Anything longer tends to crop out too much, which creates a cookie-cutter view that could have been taken anywhere. It’s important to provide breathing room in shot with grand-scale objects. This is a tough lens to recommend for manual camera users. I’m not a fan of how D-series focus rings perform. They feel loose, with little damping. I think this is best used on the F4/F5/F6. I do use on my F3 occasionally with no issues…just not preferred. I say if you are looking for a two lens set up, ditch the 50mm and go for this 85mm to pair with your choice of wide angle.